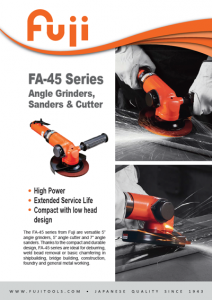 We are pleased to announce the launch of the range extension for the FA-45 series, the 5” angle grinder. The new model FA-45-12F N EC is designed with M8-P1.25 (F) wheel spindle to fill the range’s gap mainly for the EU and North American markets. Download the leafletBesides the wheel spindle, the new model offers a locking lever version. 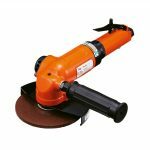 Like the other models of the range, the powerful motor contributes to improve the grinding, surface finishing and cutting work efficiency.